Well, there it goes – out into the cyber-dome to suffer the slings and arrows of Amazoneous fortune or to take arms against a sea of bubbles. Once they’re gone – there is only one thing to do. Yes – write another one, or rather crack on with the one on the slipway. Here is the Worldwide Amazon link to ESCAPE TO LOVE. The Kindle Edition includes a FREE 80 minute audiobook download. As promised I have attached the sound file for Chapter One of the audio book. The voice of course, is mine. 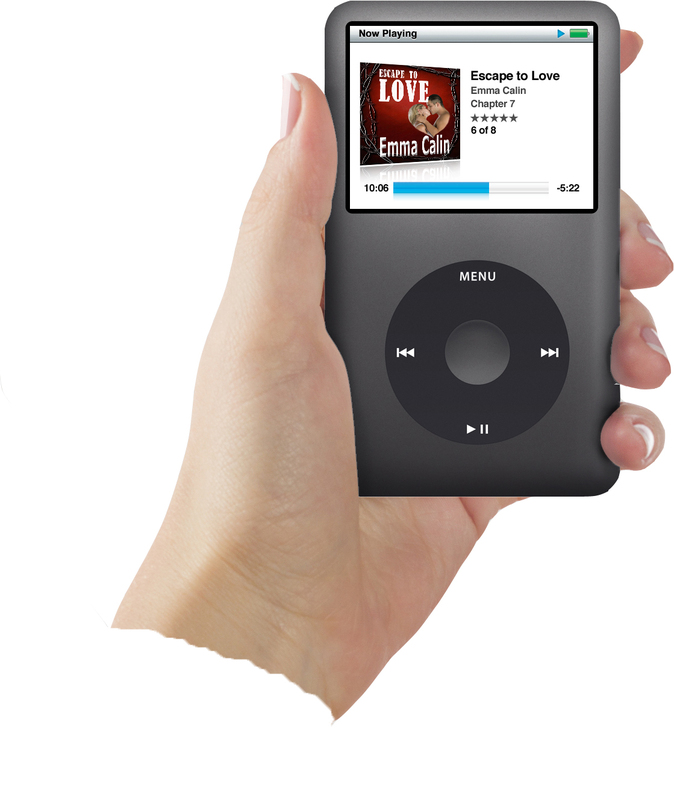 Escape with an iPod – let me read it for you! Anneli’s Place in CANADA today. Drop over and leave a message about where you would chose for your great escape get your chance to win a copy of Escape To Love! Emma Thinx: Words – what would they say if they could speak for themselves? This entry was posted in Amazon, Anneli Purchase, audio clip, audiobook, Book launch, CD, Emma Calin, Escape To Love, excerpt, iPod, Kindle by emmacalin. Bookmark the permalink.